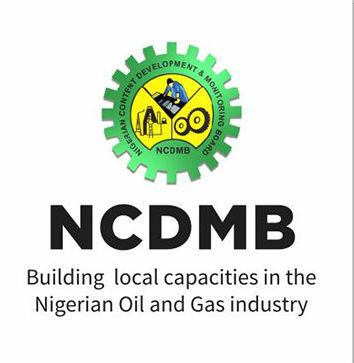 The Nigerian Content Development and Monitoring Board, NCDMB has said that adherence to the Local Content Requirements (LCRs) in the implementation process of Local Content policy in the West African sub-region’s oil and gas industry is critical to growing value addition and retention that would ultimately lead to the growth and development of the sub-region. Speaking during the 3rd edition of the Deepwater Offshore West Africa Congress (DOWAC) in Ghana, recently, the NCDMB’s Director, Monitoring and Evaluation Department, Mr Akintunde Adelana said that LCRs is a specific regulation that commits foreign investors and companies to a minimum threshold of goods and services that must be purchased, procured or manufactured locally within some strategic sectors with large economic rents. Adelana noted that achieving development in the sub-region through proper management of its resources remains the primary aim for the use of LCRs, especially where a developing country has engaged in low value-added activities or where there are no linkages existing between industries, manufacturing and service sectors. He said, LCRs can be mapped out for any good or service that can be utilised as input into most goods and services, which can include the minimum thresholds on the amount of locally-sourced, expenditure or man-hours for the use of services, ranging from engineering, procurement, transport to legal, financial and insurance services. According to the DME, LCRs also set the requirements for companies, operators or investors to locally establish facilities, factories, production units or other operations for the purposes of carrying out any production, manufacturing or service provision currently being imported. He said, “The LCRs ensure that within strategic sectors such as the oil and gas with large economic rents, or vehicles where the supply chain involves so many suppliers – domestic goods and services are drawn into the industry thus providing an opportunity for local content to substitute domestic value-addition for imported inputs. “LCRs are often paired with investment incentives as part of a carrot and stick approach to attracting Foreign Direct Investment (FDI). It can be mapped out for any good or service that can be utilised as input into most goods and services. “The primary rationale for the use of LCRs is DEVELOPMENT, especially where a developing country has engaged in low value-added activities or where there are no linkages exist between industries and the manufacturing and service sectors. The need for LCR can arise from several sources, primarily to strengthen a weakened industry,” he noted. Continuing, Adalana said, “In a country like Nigeria, the capital flows and demand associated with the exploitation of fossil fuels has often led to overvalued exchange rates, neglect of basic investment measures to bring down associated costs. LCRs thus became a major means of shifting away from the consumption side of things to the domiciliation and domestication of services. “In Nigeria, various measures were put in place to change the dynamics of the Oil and Gas Industry. The key one being the enactment of the Nigerian Oil and Gas Industry Content Development (NOGICD) Act in 2010. This act creates several incentives throughout the bidding and contracting process to increase local content levels in the Oil and Gas industry. The key element of the Act is the annexed schedule that provides for minimum percentage specifications of Nigerian Content for any project to be executed in the Nigerian Oil and Gas Industry. “The year 2010 witnessed the birth of NCDMB to address 50years of capital flight, job losses, and less than 5% in-country value retention in the Nigerian oil & gas industry. “As at today, we have established capacities and capabilities in the last 9 years to reverse some of the adverse effects of reliance on importation of virtually everything. 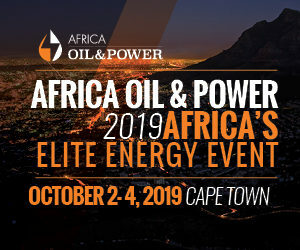 “My expectation is that this event will come up with deliberations that will further deepen the use of LCRs in the West African oil and gas industry, and indeed in other sectors of the region. “I also hope this event will encourage collaborations between countries to maximize the utilization of indigenous capacity and capabilities.